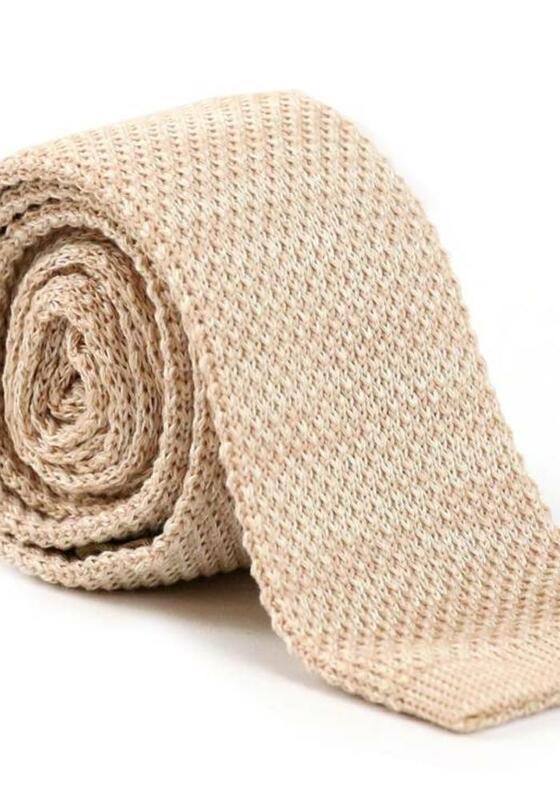 No stiff, formal tie? 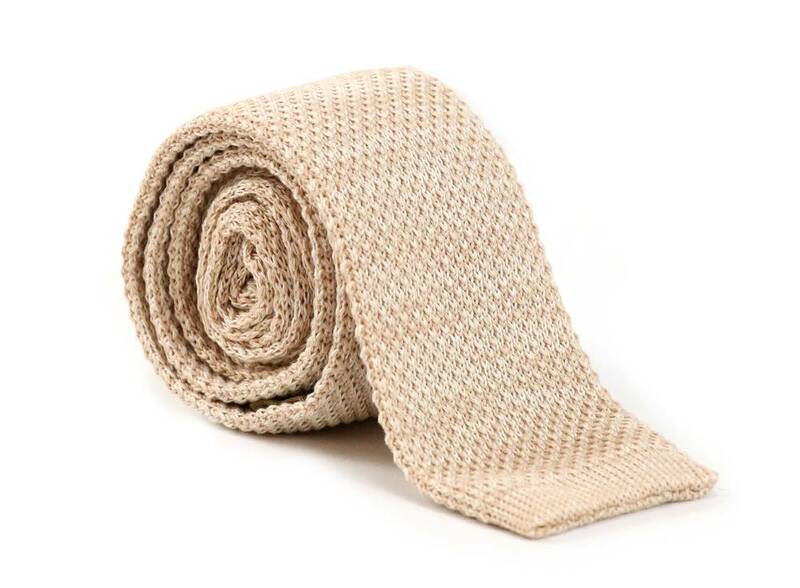 This knitted, beige Les Deux Frères tie fits well in the 'casual chic' style and you can also combine a bit more sporting. The bottom is straight of model.